And I watch where I park and make sure my dash cam is on before I leave it somewhere 😂. Sometimes I walk around the car to look for any new damage. I do have a sigh of relief when I come back and see that the two cars I've parked between are still there. My uncles GTR I noticed a scuff mark on the rear quarter which he believes was done by some jealous driver. Hopefully polishes off. If the Aston's that special and you don't want to rack up the miles fine but at least show it so others can enjoy it too. My Windows 8.1 laptop doesn't seem to want to boot up. Was working fine the other day, even after temporarily swapping the HDD from my broken one into it. I need to use the Windows 8 laptop for video editing and install of programs/games/apps which come on CD/DVD. Now I can't find my recovery DVD for that laptop. Me and technology just don't go well together. Yeah,cars should be driven and seen. Today's guess is Ferrari 360 chalange stradale value.?? I know nothing about Ferrari s . It's red and flash. Gonna be cheap compared to that Aston, they aren't all that rare afaik... £150k? On the flip side, I've seen plenty of cars rarer than that (and worth more) at shows like Goodwood. For example immaculate Jaguar D-Types and one of the six 'missing' Lightweight E-Types that Jaguar recently manufactured. Each to their own of course (it's his car after all). On the subject of race cars, just go along to the Goodwood Revival and you will see proper one-of-a-kind race cars from the past with incredible provenance (having previously won races for the likes of Fangio et al) being raced hard. It's an expensive business though (even by the standards of those who might own a rare AM) to keep them mint and repair any damage. The new laptop I bought 30 days ago has developed a fault already. The screen will flicker every few minutes which is very annoying so it's going back for a replacement today as it's just 30 days old. They are doing as it's just in the 30 day exchange policy. My previous one (that I broke the screen on) was an HP and did sometimes flicker (usually between apps running) but this one goes black for 1-2 seconds. Nope, not at all. It was only for 1-2 seconds but it was troubling. Hopefully this new one won't have the same issue. If it does, it'll be going back and I'll be opting for another brand. It's an Acer Nitro gaming laptop but fairly basic with only 1Tb HDD, 8Gb Ram and 4Gb graphics card. Plus side is it has an SSD (128Gb) too so it's quick to boot. Think I need to get a SSD. 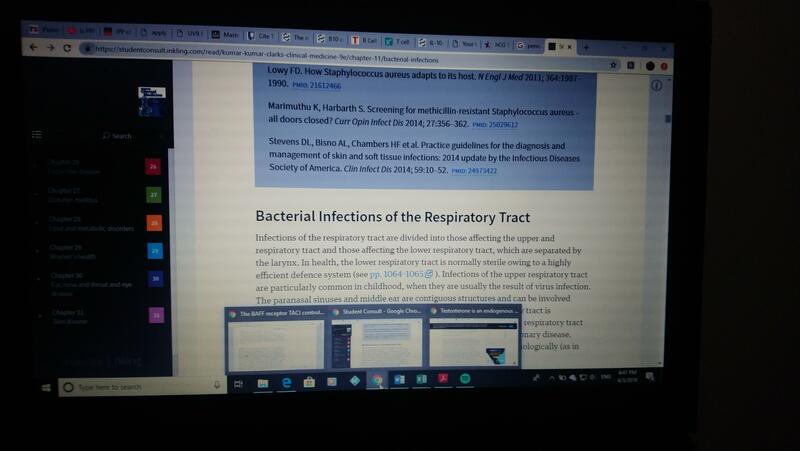 On my laptop at the moment I have 3 chrome applications open with a total of around 30 tabs, internet explorer with around 6 tabs open, 6 word documents, 2 excel documents and some Adobe acrobat reader on😂. What I like to do is leave the laptop alone so it shut down itself and when I turn it on again everything is still there. Occasionally I get an issue where when I switch the laptop on its just a black screen. Zain, the issue you'll be having won't be to do with the HDD but with RAM. Your RAM won't be able to cope with all those tabs open and documents as well as all the background crap they force upon you in Windows. SSD devices only speed up the access/load time for data or apps as they are storage. They don't affect RAM memory which is where most of the programs etc are run. 1) The Mk3 Fiesta that I followed all the way to work this morning which had it's brake lights on pretty much all of the time. They occasionally turned off (almost as if the driver was braking) or flickered at random times. The car had seen better days with the passenger mirror hanging off and the rear boot dented. I beeped my horn to get the drivers attention when we stopped at some temporary road works and can only describe the driver as the spitting image of Neil from 'The Young Ones' poked his head out of the window . 2) The Mustang parked up on the central reservation covering in Police tape. Didn't get a good look as it was just on the approach to a roundabout but it appeared to have rolled and had substantial damage to the A pillars on the front. 3) The Mk7 Fiesta driver that was so close behind me she might as well have been sat in my passenger seat as I slowed down to turn onto our private track. The turning to our track is on the point of a blind bend with double white lines, within a 30mph zone, but the stupid women didn't give two fecks and was crossing the centre lines rather than slow down. I always indicate at ~120m's out and this made no difference to her distance between our cars . How can a headlight unit cost £2000??? Each! In my experience tailgaiters tend to drive up your diffuser in 30 limits then fall back on NSL roads. Essentially they're '40 mile per hour man' (or woman), just behind you. Unless of course they're 'I just got offended by being overtaken man', in which case they're filling your rear view mirror whatever speed you go. Probably must be those new LED or laser technology lights? In my area at the moment I've been noticing these 2 wires which go across the road and are close to each other. What I've been told by my dad is these wires measure the speed in which cars are going at as soon as they go over it. Probably the council is trying to see how fast people are going and if traffic carming measures should be put up 😒. With my car I like to slow down to around 15 - 20mph on certain speed bumps but just hate how some people come right behind you as their car can go faster over it. I think I do sometimes get offended when someone overtakes or undertakes me 😂. This is only on single lane 30mph roads though not on a dual carriage or motorway. Kind of happy one thing the building cycle lanes have done is turn some 2 lane at traffic lights to one so don't have to worry about someone overtaking or undertaking traffic. Those 2 wires measure traffic volume mostly. They aren't accurate enough to measure speeding although they can give a rough average speed based on a large number of cars. Where I live they were actually used to speed traffic up! There were a set of traffic lights on a roundabout which was found to be reducing traffic flow, particularly at peak times like rush hour. The traffic lights were switched off as a trial, and the speed & volume measured again. The trial worked so the lights were removed permanently. We have lots of these volume tests around our area though as they are meant to be adding a bypass road, but as it'll cost millions to do they need a lot of proof to decide whether it's worth it or not. I don't think it'll ever happen due to cost, and the 'NIMBY' folk, but it would be helpful if they do!